One of the most important factors for an artist is inspiration. Without constantly feeding himself inspiring new ideas, he often becomes stale and frozen in his current mode of thinking and creating. Inspiration breaks an artist out of this rigid state, and motivates him to greater productivity. As one who wants to write a book with creativity and high quality productivity, I need to stay inspired. By staying inspired, I maintain an openness to ideas that will help me further my work. 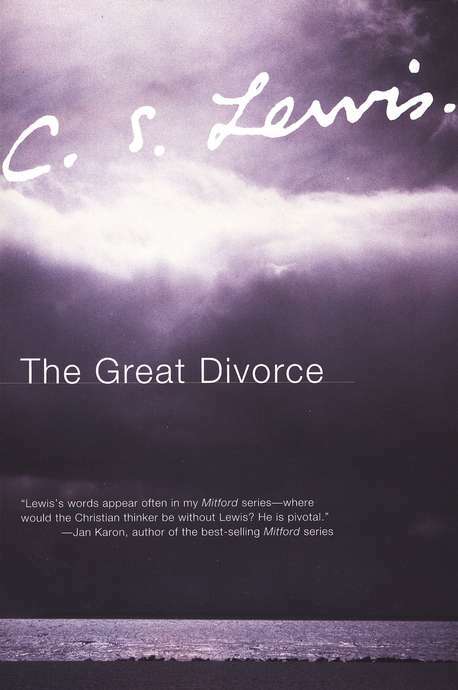 “The Great Divorce” is a fictional allegory of a man’s experience traveling to an other-worldly place which he comes to discover is Heaven. However, not all that’s expected of Heaven is accurate — rather, the man’s experience in the eternal realm is far different than he expected. Although his thick English writing is a bit chunky at times, the possibilities presented by Lewis are very thought-provoking and worth a few moments of consideration. Here are a few of the quotes that stood out to me. I like what this statement says about loving God: it’s essential to know and love the Creator if you want to understand how to treat Creation. God is the source of love, and we learn to love by knowing God. These are sobering words. Often it’s easy to become enamored with art or stories themselves, but we must not tell stories for the sake of telling stories. Portraying an idea or a vision through art is both about the content and the delivery. We must not live in the shallowness of thinking everything we say or do is of utmost importance. Art always points to something else: beauty, truth, God. I think Lewis is on to something when he draws clear connection between hell and the personal choices of individuals. God gives us all the power of choice, and our depraved nature tears us away from attaining to the way of life in Jesus. I agree with Lewis; if we are serious about finding deep purpose and joy, then we will seek it and find it in Jesus, the one who fills our emptiness. What books or other things inspire you? What are your perceptions of eternity?